Shane and Jacob with a great morning catch. Today was a little different than yesterday. Instead of Sun and schools like yesterday we had clouds and scattered fish. 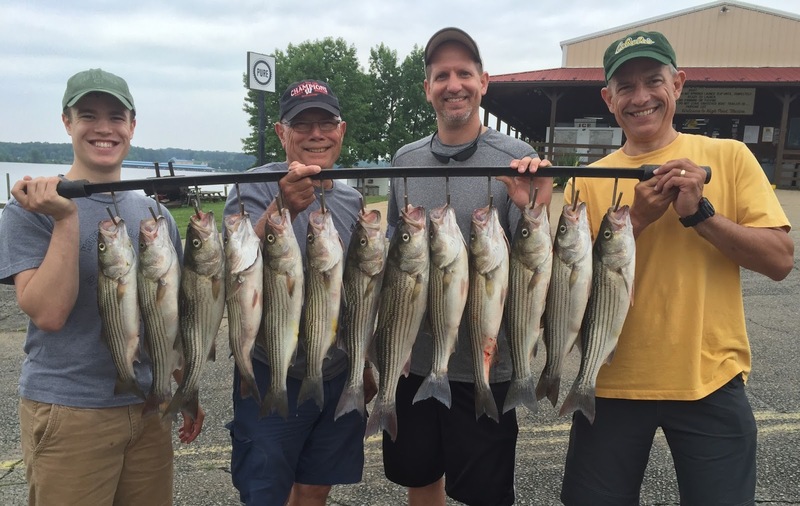 Didn't matter much, everyone caught plenty of Stripers. Paul's group wanted enough for a meal while they are staying here at the lake but I thing they kept more than they bargained for. We only fished a 4 hour charter this morning but probably caught 35 to 40 fish.